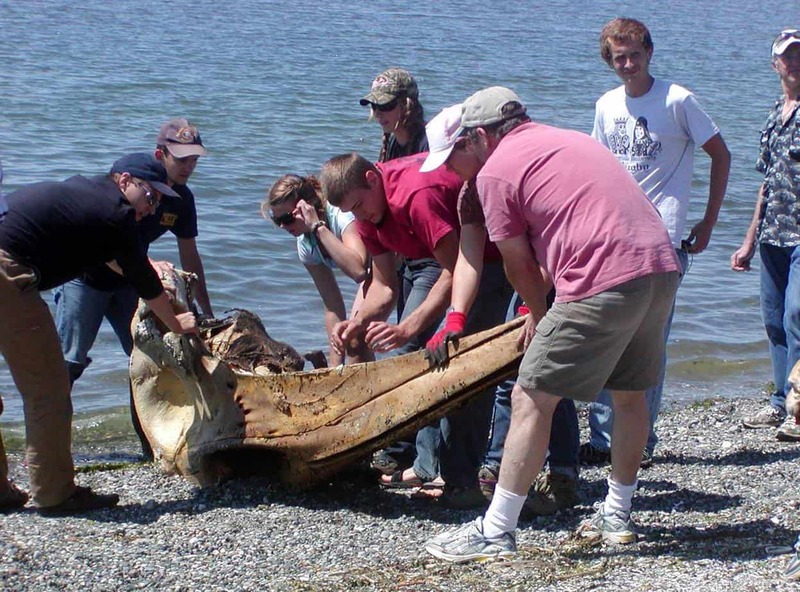 Three environmental science students helped clean a whale skeleton for use by the Smithsonian Institution while studying on Whidbey Island this summer. Christian Hayes, Amelia Lyons, and Nathan Reed were studying marine mammals at Au Sable Institute’s Pacific Northwest campus in Washington when they were invited to help clean the skeleton of a gray whale that had been found dead in April. Scientists had towed the whale to the Whidbey Island Naval Air Station and cleaned the skeleton as much as possible, then left the bones in the water until summer. Reed, a senior who comes to Cedarville from North Carolina, said whale watching and seeing the unique landscape were also highlights of studying at Au Sable. “You get to see so many aspects of creation,” he said.